A free film screening of the Fort Frederick Heritage Preserve documentary film series will be shown on Friday, July 24 at 10 a.m.to coincide with the international Day of Archaeology. The screening will take place in the Rembert C. Dennis Building first floor auditorium (1000 Assembly Street, Columbia, SC 29201). Archaeologists who worked on this project with S.C. Department of Natural Resources (DNR) from the South Carolina Institute of Archaeology and Anthropology (SCIAA) and the South Carolina Archaeology Public Outreach Division (SCAPOD) will be present to answer questions and show artifacts excavated from the preserve. 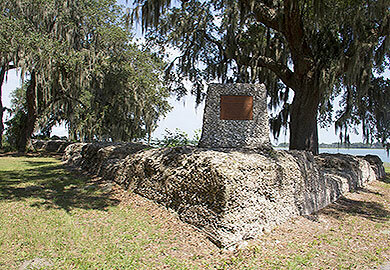 Archaeological excavations, tabby restoration, and public tours took place at Fort Frederick Heritage Preserve in Beaufort County during the winter of 2014-2015. This cultural resources work was documented through a series of short films, which are available on the films web page and in HD versions through the filmmaker's website and Vimeo. Funding was provided by the DNR Heritage Trust Program, and grants received from the Harry Hampton Memorial Wildlife Fund and The Humanities Council SC. A cultural resources vocabulary list and four lesson plans supplement the film series, and a survey is provided to gain feedback from viewers.